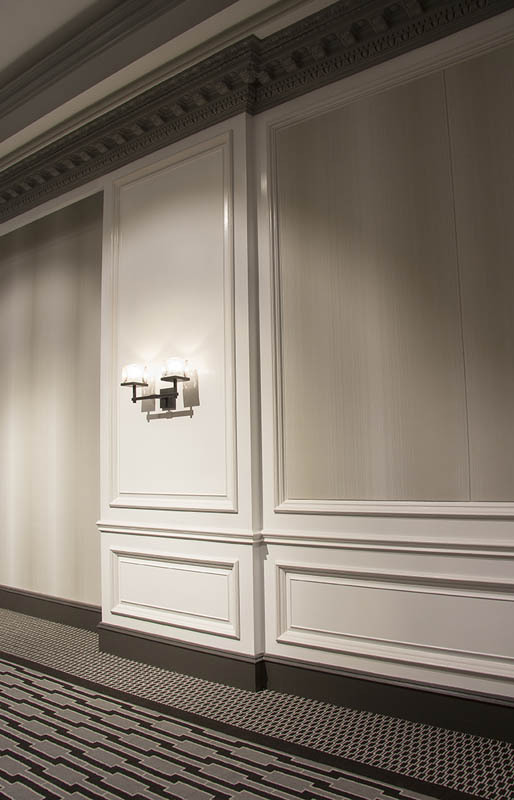 Interior wall panelling (also known as wainscoting) is now days used as a decorative trim to give instant personality to a room. 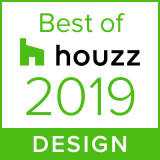 You can add dimension and lasting value to plain walls, protect surfaces and give a room style with not as much difficulty or expense as you may think. 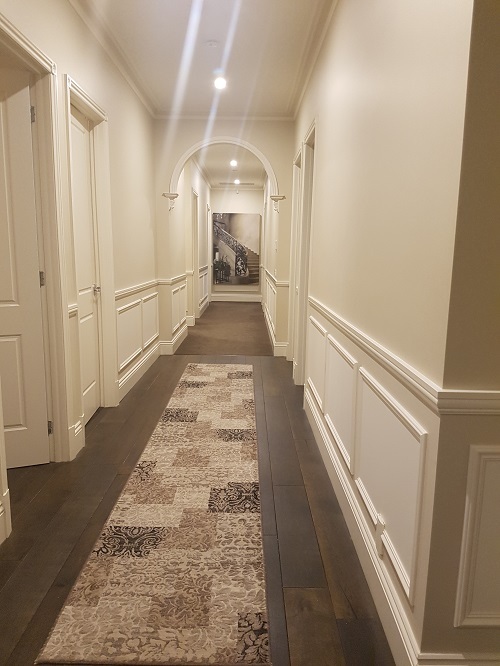 The panelling designs are a simple combination of chair rail, inlay moulds and skirting boards and come in a variety of profiles suitable for creating a period or Hamptons style design, or adding detail in a modern home. 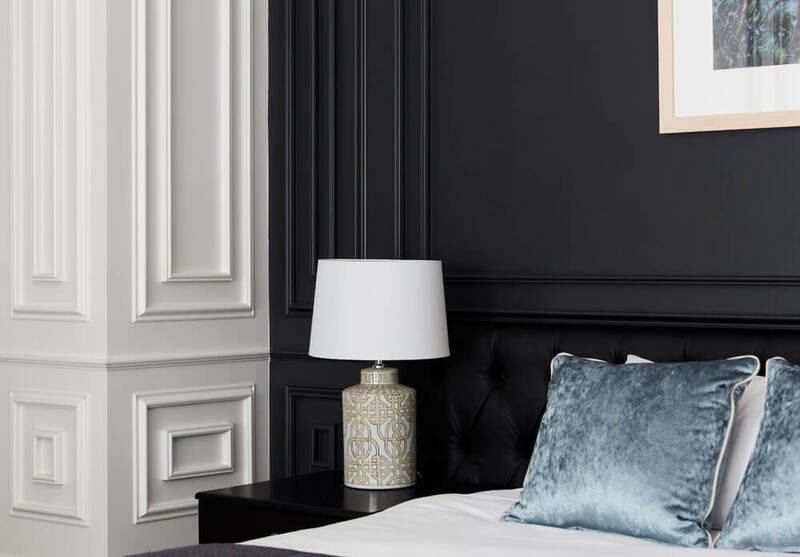 A frame and panel can suit a large variety of homes as you have the choice as to what moulding profile is best for the look you are trying to achieve. 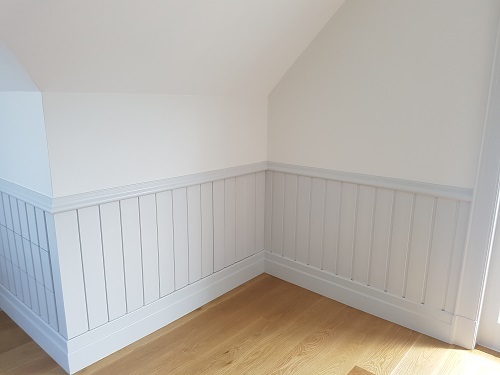 These mouldings are then constructed into a series of raised square or rectangular sections which sit above the skirting boards and below the chair rail. 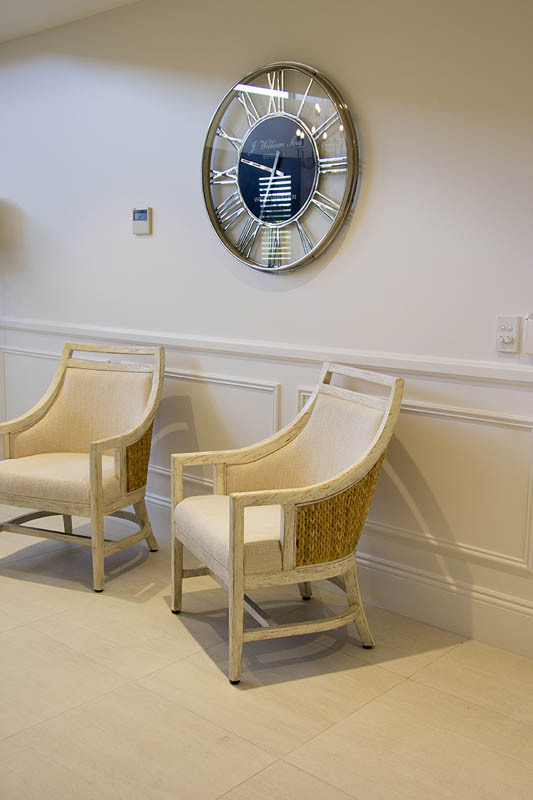 Some wall panelling extends higher than the chair rail height (typically about mid wall height where you would expect the top of a chair seat height to be) especially in a smaller room where you are trying to achieve a sense of height and space to a smaller room. 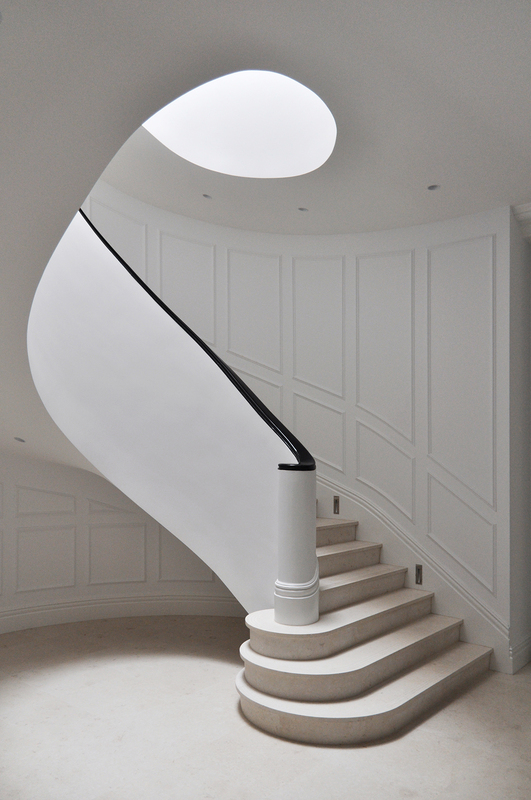 Angular shapes can be used along the sides of stair cases to add a beautiful feature and character. 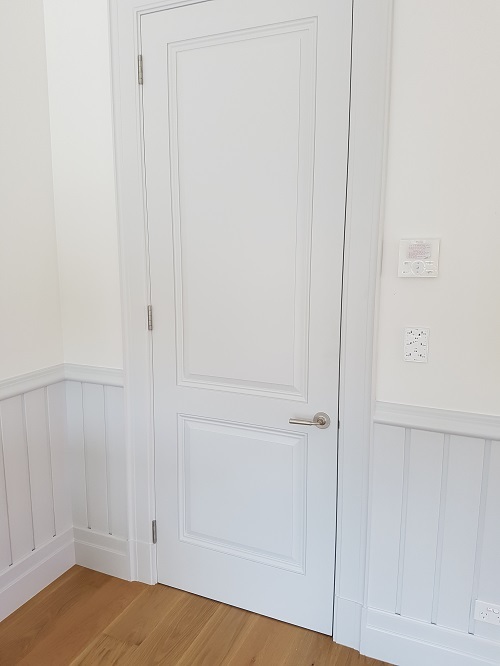 The vertical lining board is a row of narrow planks placed vertically on the wall between the skirting and the chair rail. This style is excellent for wet or high traffic areas, or children’s bedrooms! They can be painted in any colour to create a fun look and are a great way to hide an unsightly wall. Many people use this style of wall panelling to reduce the cost of tiling an entire bathroom or wet area. 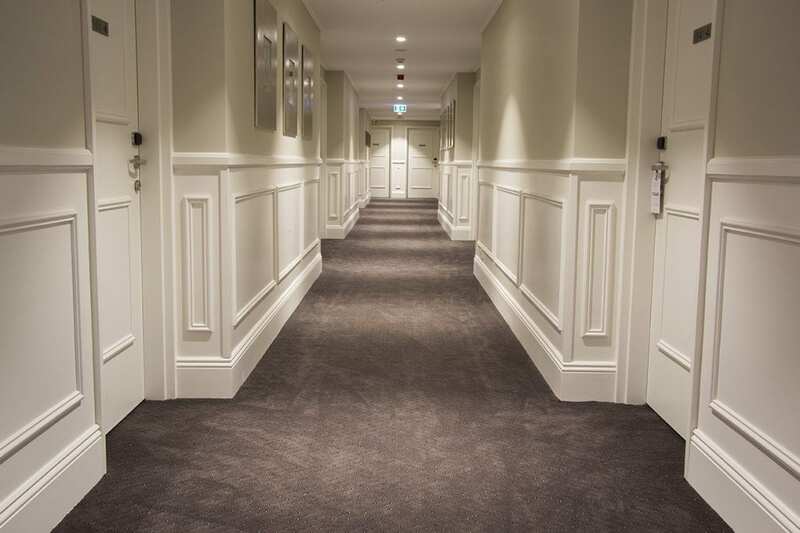 You can achieve different period styles with a variety of dado rails. Think about the current look of your home and how much you can achieve to either change the look, without looking out of place. 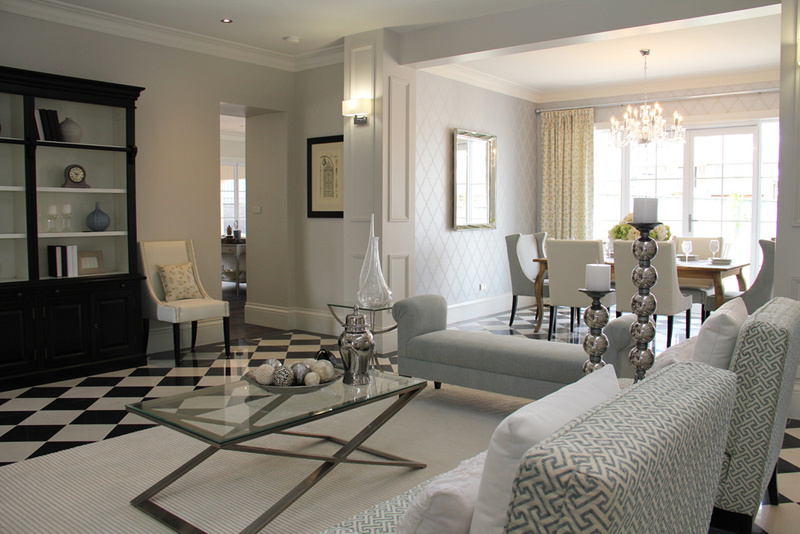 Think about what you will be placing about the panelling – will you use a dramatic colour, patterned wall paper, or do you want to use pastels to allow the panelling and wall to harmonise with the rest of the wall, are you just wanting pops of detail to create interest in the room or do you want to keep your walls one colour and just add some texture? Originally picture rails were used as that, to hang pictures from and display trinkets. Are you wanting to use the chair rail to stand pictures on? Do you want to hang pictures from a picture rail? Do you want the panelling to have some other function besides making your interior spectacular? 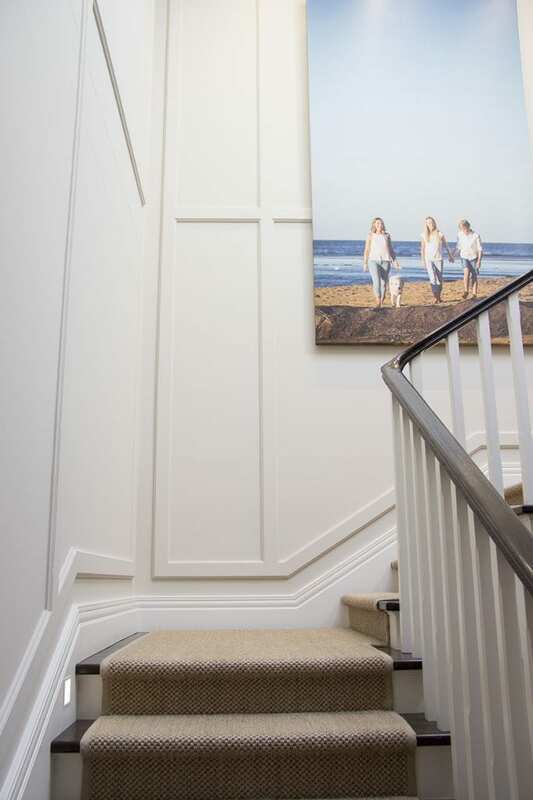 The answers to these questions may help you decide what height your panelling will extend up your wall, and the styles that suit. 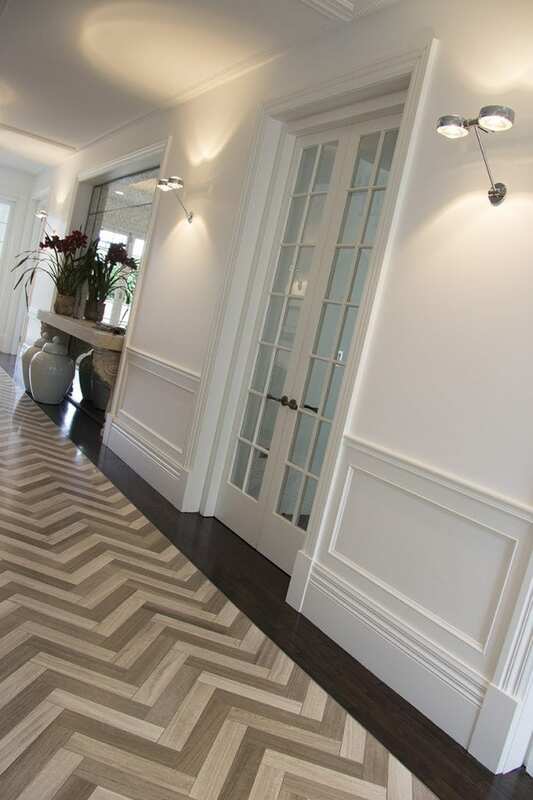 Wall panelling your entire house may lose the beautiful effect that the panelling can give. 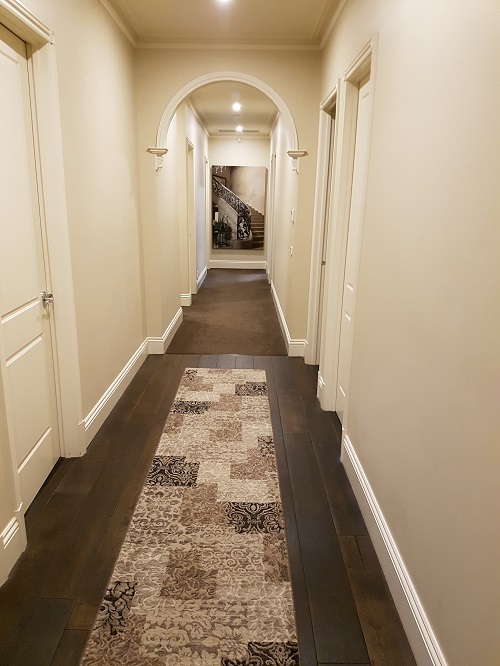 A floor to ceiling application in a small room can make it feel cramped and dark, where as when applied to a large room can add grandeur and opulence. Choose select areas to add the feature for the biggest impact. 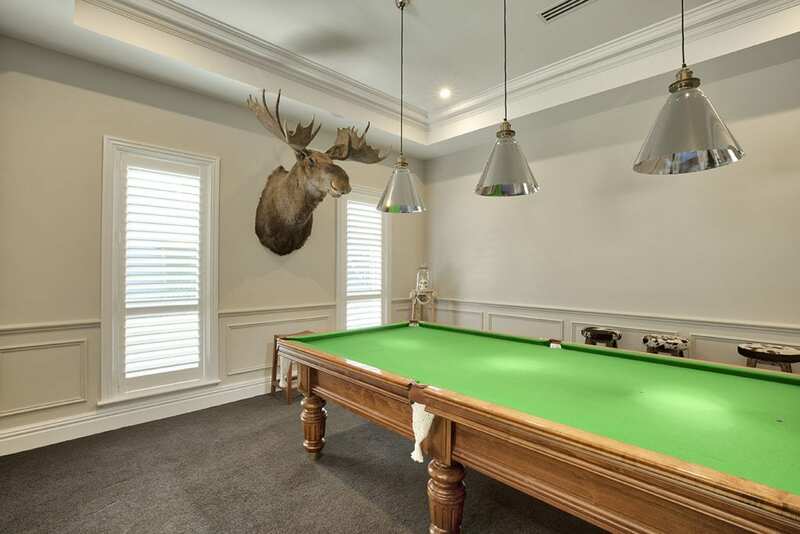 These usually are in hallways, stairwells and formal dining and living areas. Our biggest recommendation is to measure and check the thickness of your current architraves. If you are not looking to replace them, you need to ensure you choose a profile thickness that will not sit proud of the architrave that it runs to. 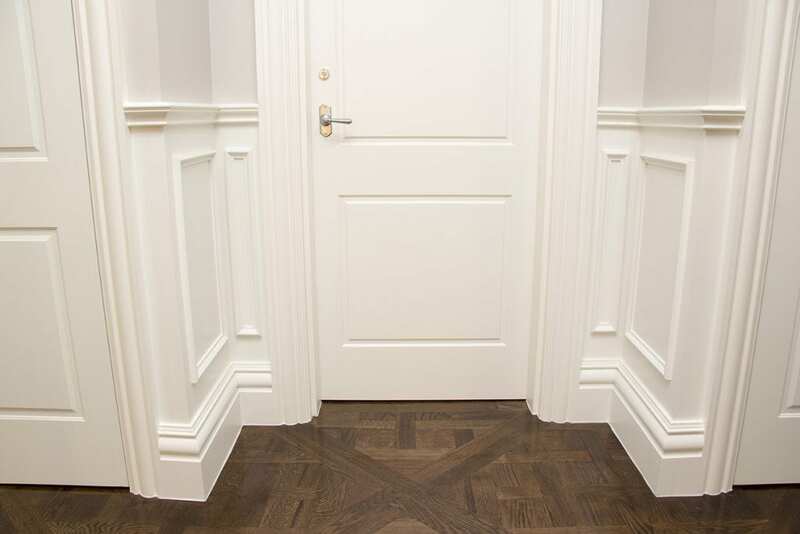 We generally find that the combination of chair rail Intrim® CR22 and inlay mould Intrim® IN23 or Intrim® CR17 and inlay mould Intrim® IN13 suit most homes, are available in 21mm and 18mm thickness, are user friendly and cost effective. Free samples are available for some of our products, or you can visit one of our showrooms in Sydney, Brisbane or Melbourne. 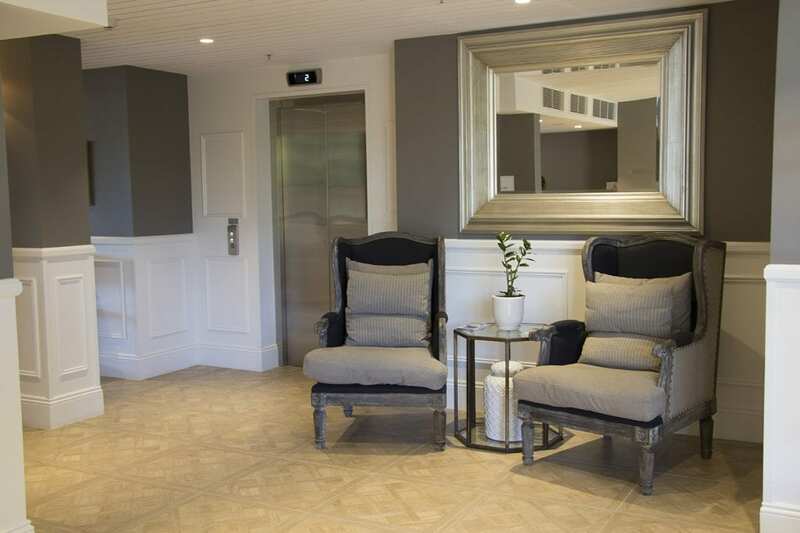 If you would like to speak with one of our product consultants, call us on 1800 622 081 and will be delighted to fill you in on how to achieve this stunning look.